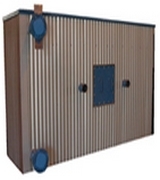 A unique economizer designed to recover your exhaust stack energy and save you thousands of dollars each year. Cannon Feedwater Heaters pay for themselves by reducing your fuel bills. We will provide you with an estimated payback period when you inquire, and it is normally less than one year. The Cannon Superheater addresses two distinct markets, new boilers and retrofit installations. The Cannon superheater excels in the 25 HP to 1,000 HP range. Simple and inexpensive steam plants with a superheater can achieve the same operating temperatures as the thermal oil system without the associated problems and cost. 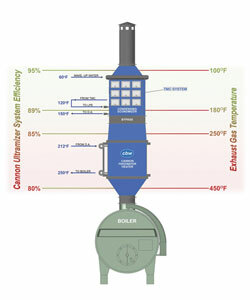 Cannon economizers are custom designed for optimum heat recovery and service life for your unique application. Cannon will design your economizer for gas, oil, coal, wood, or special waste gas streams. These units are available in open lattice or bulkhead tubesheet designs, and Cannon manufactures the nickel-brazed helical finned tubes used in all of our economizers. The vent condenser is a plume abatement device that provides a visual improvement, as well as reducing water/ice or corrosion near the steam vent. Vented steam is directed into the unit and condensed by cold water, and energy is continuously recovered at a rate of 970btu’s for every pound of steam. This hot water and clean distilled condensate are then ready for use elsewhere in your operation. A steam accumulator is a smart method to reduce severe boiler loading and cycling, when short-duration, high flow steam is required. An accumulator can reduce the fuel consumption and increase the service life of your boiler by stabilizing its operating conditions. 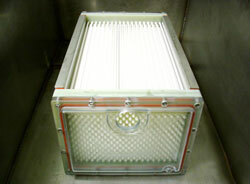 Cannon has full capabilities to design, build, rebuild, or repair your heat exchanger. 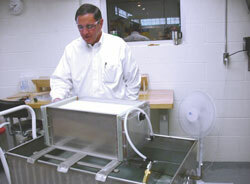 We are experts in our ability to solve customers problems through innovative design and material solutions. Cannon Boiler Works gained the exclusive license to the TMC technology in 2009. 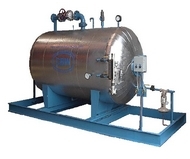 The TMC (Transport Membrane Condenser) system is patented by the Gas Technology Institute, for recovering latent heat and water from natural gas burning combustion gasses. 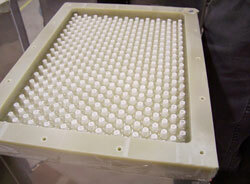 This technology is incorporated into our Ultramizer® system, as a third stage of heat (and clean water) recovery. Our existing Feedwater Heater technology is used in the first two stages. 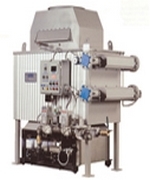 This system has significant advantages over conventional condensing economizers available on the market today. Our technology combines the best aspects of direct-contact, and in-direct contact condensing economizers, to make our system uniquely capable in recovering heat and clean water. As a matter of fact, there is a condensing economizer included in this Ultramizer package, and our package takes the heat recovery one step further.